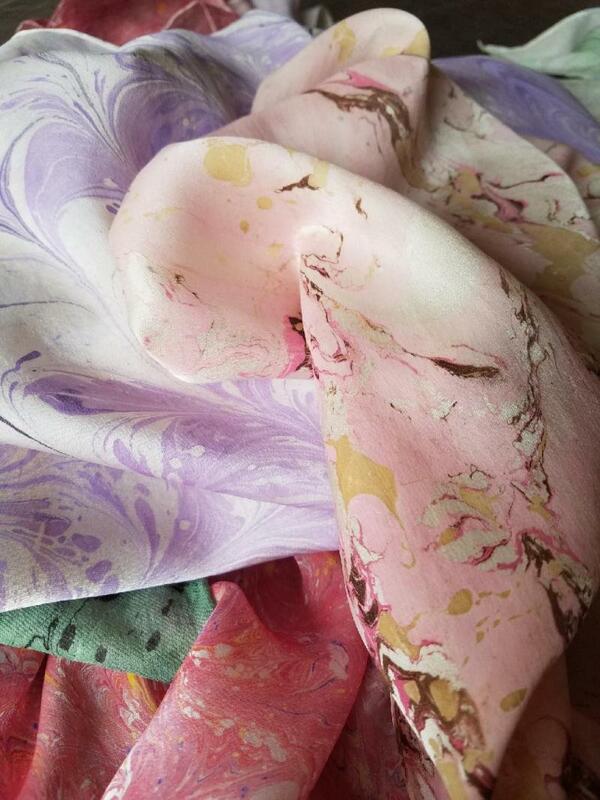 Colonial Bindery - Marbling Paper & Fabric: "YOUR IMAGINATION IS YOUR LIMITATION"We marble paper, scarves, bandanas, and ties. 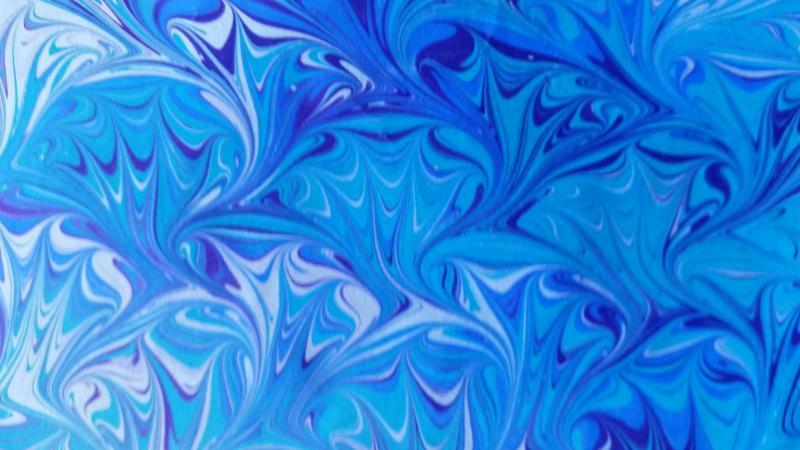 It's a 600 year old craft, but no two designs have ever been identical! 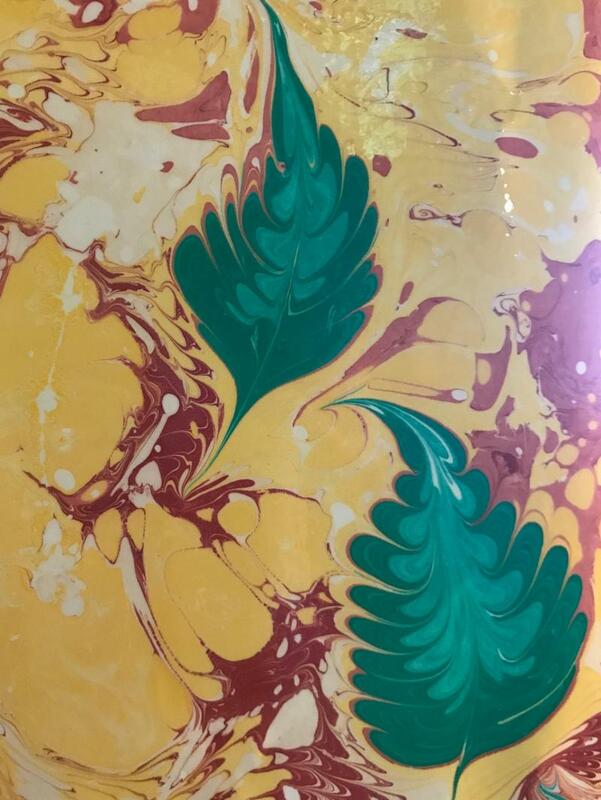 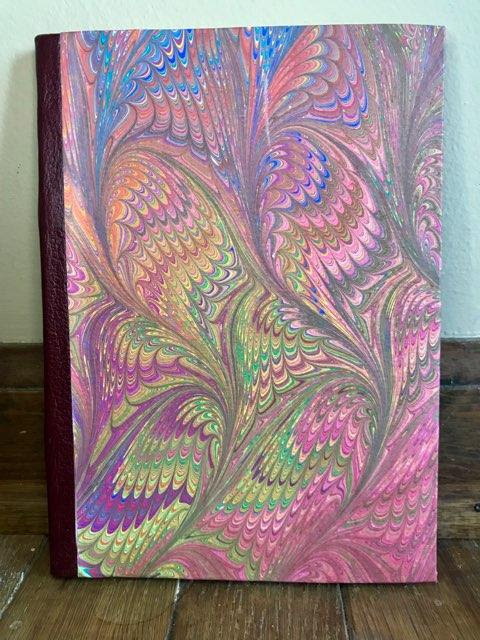 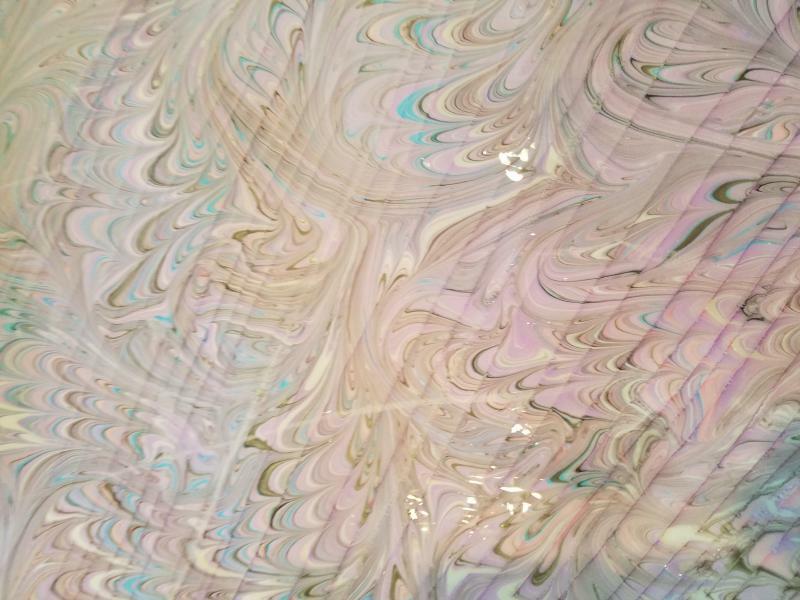 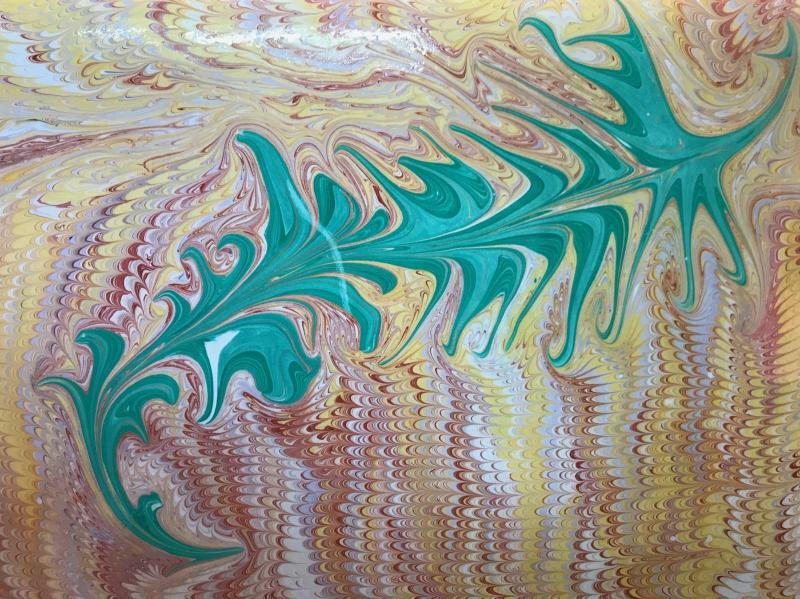 CHECK OUT THE COLONIAL BINDERY YOUTUBE CHANNEL & INSTAGRAM PAGE FOR MARBLING EXAMPLES. 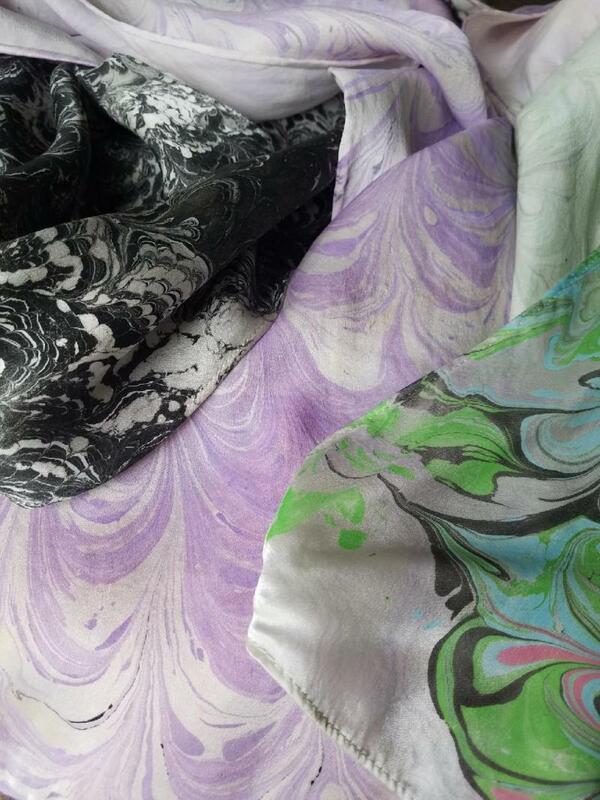 "YOUR IMAGINATION IS YOUR LIMITATION"
We marble paper, scarves, bandanas, and ties. 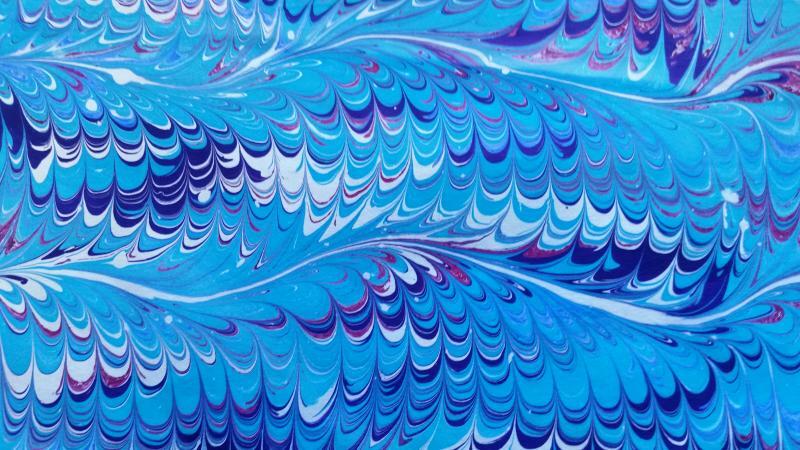 It's a 600 year old craft, but no two designs have ever been identical! 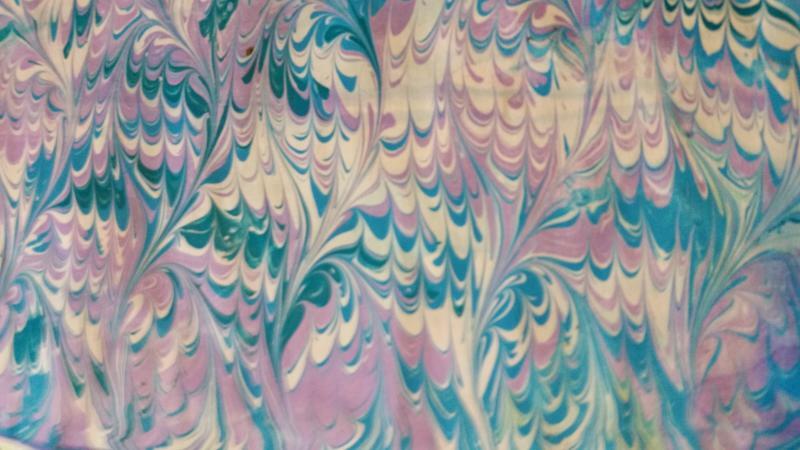 CHECK OUT THE COLONIAL BINDERY YOUTUBE CHANNEL & INSTAGRAM PAGE FOR MARBLING EXAMPLES.